Aamir Khan, who starred in it with Salman Khan, shared his opinion on the fresh lead pair entering the Khans shoes. 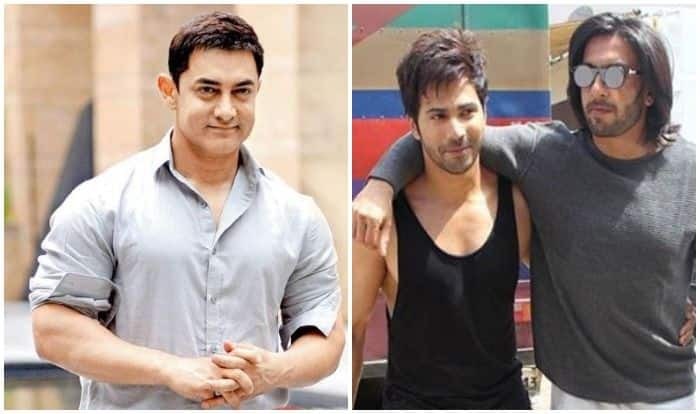 While the tinsel town remains abuzz with the rumours of actors Ranveer Singh and Varun Dhawan starring in the 1994 comedy cult, Andaz Apna Apna, Aamir Khan, who starred in it with Salman Khan, shared his opinion on the fresh lead pair entering the Khans shoes. While the original flick was directed by Rajkumar Santoshi and will this year complete 25 years, the upcoming remake is said to be bankrolled by film producers Vinay Sinha and Priti Sinha.